November 20, 2018 - London, United Kingdom - TokenMarket, the award winning token advisory service, announces its partnership with DOVU for its first security token offering. TokenMarket was accepted into the Financial Conduct Authority’s (FCA) Regulatory Sandbox earlier this year for the purpose of carrying out security token offerings. DOVU, the unified token, wallet and marketplace for earning and spending mobility related rewards, held a token sale in October 2017 raising $6.2 million. DOVU has this month announced a sale of 5% equity for a crowdfunding sale to commence in Q1 2019. This will allow DOVU users to now have both utility and equity in DOVU, allowing for a more transparent, democratised and accountable relationship for the investors, contributors and business. DOVU has previously received seed funding from Jaguar-Land Rover’s investment arm InMotion Ventures and Creative England, supported by the UK Governments ‘Public Growth Fund’. The DOVU security token sale date is set to be announced in December 2018. 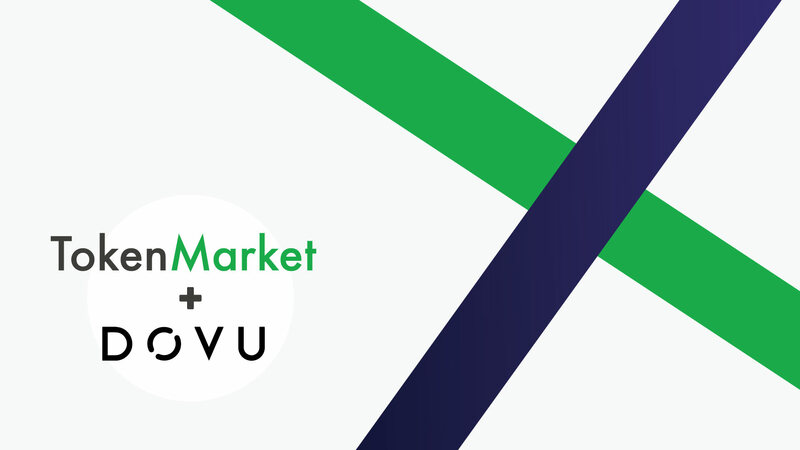 To stay up to date with the latest announcements (including STO dates), news and more go to https://dovu.io or sign up to the TokenMarket email listing at https://tokenmarket.net. DOVU is shaping the crypto model for the mobility ecosystem with backing from Jaguar-Land Rover’s investment arm InMotion Ventures and UK government back fund Creative England. Introducing a transport focused protocol to accelerate the development of mobility related decentralised applications (dApps), the DOV token powers new business models in the transportation sector. The DOVU API Marketplace supports the community by simplifying the development of mobility data globally.